Lindenwood shotgun sports will host the inaugural Jeff Hansen Memorial Sporting Clays Classic on April 15 at Strathalbyn Farms in St. Charles, Mo. The event will include shotgun demonstrations and offer participants an opportunity to learn about safety prior to shooting at sporting clay targets. The afternoon will conclude with dinner and an auction, with all proceeds benefiting the Lindenwood Shotgun Sports Scholarship Fund. Students and adjunct instructors commuting to Lindenwood University’s St. Charles campus on westbound Interstate 70 will soon experience construction delays approaching Route 94. Lindenwood University has signed a lease for 32,000 square feet of space at the Old Post Office at Ninth and Olive Downtown and is moving its Wildwood and St. Louis accelerated degree program operations there April 1. Lindenwood System President Michael Shonrock, Ph.D., signed the agreement March 8, more than quadrupling the university’s space Downtown. Lindenwood had previously operated at a location on Washington Avenue since 2008. Lindenwood University has been identified as having one of the best-value bachelor’s degrees in parks, recreation, and leisure studies by College Values Online. The ranking considered tuition, financial aid, return on investment, and the number of minors, concentrations, or areas of emphases offered. Lindenwood University’s men’s ice hockey team was crowned the 2016 American Collegiate Hockey Association (ACHA) Men’s Division I National Champion with a 2-1 victory over Iowa State Tuesday night at the Edge Ice Arena in Bensenville, Ill. The Lions fell behind early but rallied in the final 21 minutes of game action to take the title, the third overall for the program and the first since 2010. 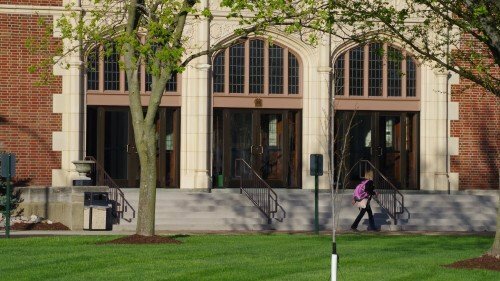 Lindenwood University’s St. Charles campus is beginning a transition to tobacco-free status that will culminate on July 1, 2017. Lindenwood University’s Board of Directors is holding the line on tuition for the 2016-2017 academic year. Tuition for undergraduate resident students will remain $15,672 in 2016-17. Tuition for full-time graduate studies will also remain the same, at $7,836. Lindenwood University students will see big changes in food service this fall –highlighted by national brands Chick-fil-A, Qdoba, and Caribou Coffee and a seven-figure modernization of both dining halls. 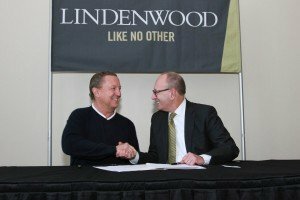 The Lindenwood University system has entered into a partnership with Barnes & Noble College to bring a new bookstore and apparel experience to its campuses in St. Charles, Mo., and Belleville, Ill. The agreement takes effect April 18. Lindenwood University adjunct instructor David Hood, who teaches Virtualization and Cloud Computing in the School of Accelerated Degree Programs, has received his commission as an officer in the Air Force.